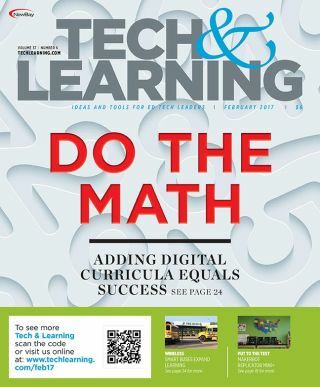 As test scores rise and engagement increases, schools are beginning to see the incalculable benefits of implementing digital curriculum and resources for math instruction. At the Huntsville (TX) Independent School District, smart buses keep their students connected as they travel the district’s vast distance of 644 square miles. At the Laguna Beach (CA) Unified School District, a new “Rocket Ready” program takes a fresh approach to PD. As schools reimagine their learning spaces, furniture companies are reimagining their designs to complement these spaces. Here are some of the latest releases for K-12. ● T&L READER SURVEY HOW MUCH EFFECT WILL A TRUMP PRESIDENCY HAVE ON YOUR CLASSROOM IN THE NEXT YEAR?